Have you added up how much time you spend staring at a screen lately? Between your computer, your iPad, your smart phone, your Kindle…it can really add up! Unfortunately, the speed of technology has far outpaced your ability to adapt physically. And your eyes may be paying the price for that gap. Plus, if you are nearing 40 – or already beyond – you have the added complication of natural age-related changes in your ability to focus on close objects. This problem worsens when your computer screen is out of the field of your bifocals. 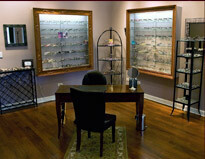 Vision, neck, and other challenges are compounded, and can cause much pain and suffering. There’s no need to endure! Urban Eyecare can recommend special lenses that allow you to focus more comfortably on your computer screen, or special tints and coatings that decrease glare and make viewing your screen easier and less fatiguing for your eyes. Click here to schedule your appointment to learn whether you have computer-related vision problems, and find out what you can do about it.